Are you ready to create a great first impression? You have come to the right place. 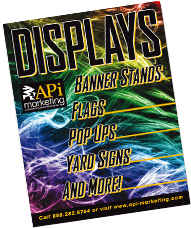 Here you will find many styles of indoor and outdoor banners, custom graphic banners, posters, as well as art and photo reproductions, roll up, trade show, green displays, and portable banner stands. 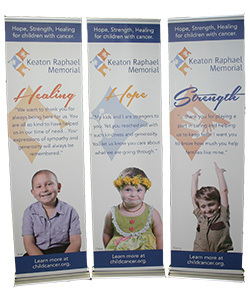 Show off your Wide Format Prints and Banners using these high quality stands and displays. These have worked for film companies and community events for years, and now, due to the fact that technology has lowered the prices of posters, you can benefit from this wonderful way of promoting your product or service. Your imagination is our only limitation in providing you with posters for business advertisements, bands, convention exhibits or retail graphics. With 8-color Epson UltraChrome GS Ink technology your message seems to leap from the poster. Lets people know who you are and what you do. 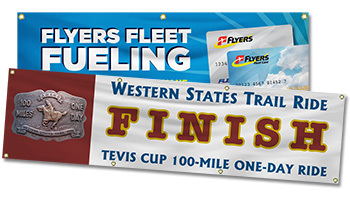 We offers top quality, full-color vinyl banner printed any size, any color and quantity. We have the tools and talent to create an attractive sign or banner for your business, organization or event. 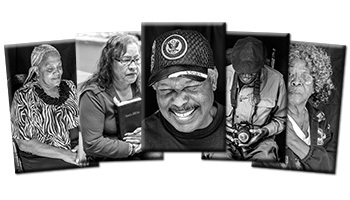 Proclaim your message proudly! If you need promotional banners, real estate signs, menu boards, convention signage, custom business signs or any other kind of sign. We produce eye-catching signs and banners to meet your needs. One of the most versatile mediums for marketing your name, logo and other aspects of your business to your target market. Signs can be used for showing direction to items, casing in a special areas, convey discounts and sales, as well as a variety of other different uses. They come in many forms such as gator board signs, foam board signs, magnetic signs, posters, sidewalk signs and window clings and use of banner stands and displays. 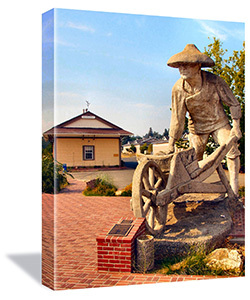 Creating a beautiful, gallery-quality print isn’t just a product of the right equipment or inks. It’s the product of years of experience in art and print production. It is trial and error, research and development and always heart and soul. It’s our business to print things right. And we want to make photographic art with you.